I’ve always loved planning my family’s birthday parties, from the themes, games, and most importantly the treats! 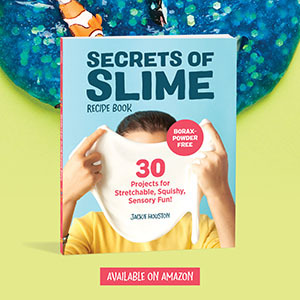 It’s so much fun planning a kids birthday party because there are so many fun themes you can do and I’m always looking for easy DIY projects to go along with them. 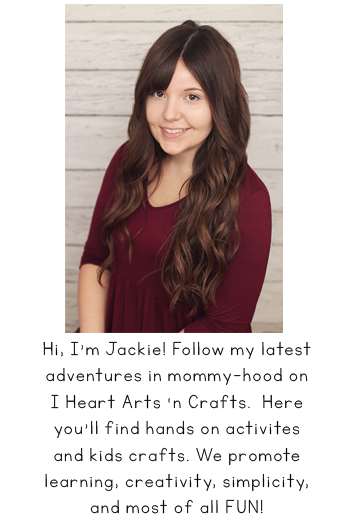 Today I’m sharing one of my go-to projects when I’m looking for an easy favor to put together. What’s great about this project is that you can use this for not only birthday parties but baby showers or any kind of special event. They look fantastic as decor for a party because they add a pop of color to the table and they’re so simple to make. Directions: To begin you’ll want to make sure you’re stocked up on all of your candy. 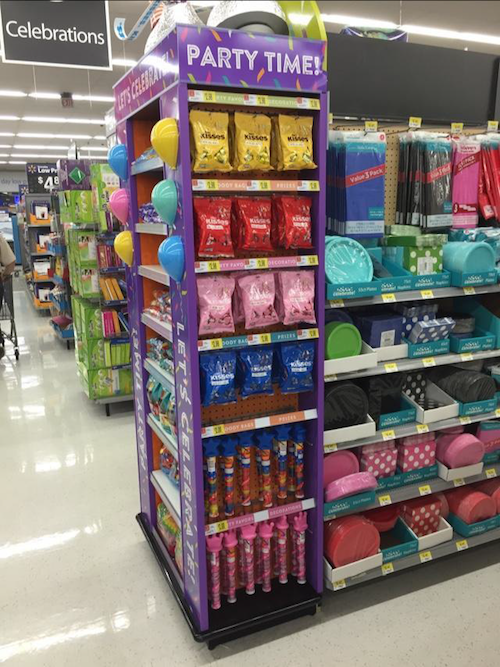 We went to our local Wal-Mart and found the Hershey birthday products display with all of their color coordinated candies and my favorite the Hershey’s Kisses Birthday Cake Candies. 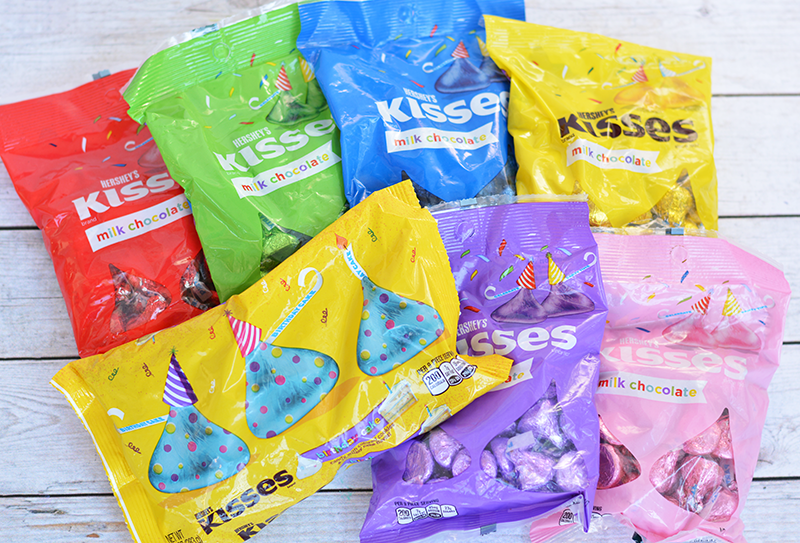 The new Hershey’s Kisses Birthday Cake Candies pack the taste of birthday cake into just one bite and complete with a satisfying crunch are perfect for any birthday theme. If you’re doing a specific theme you can go ahead and color coordinate your candies or use all of them for rainbow colored flute glasses. 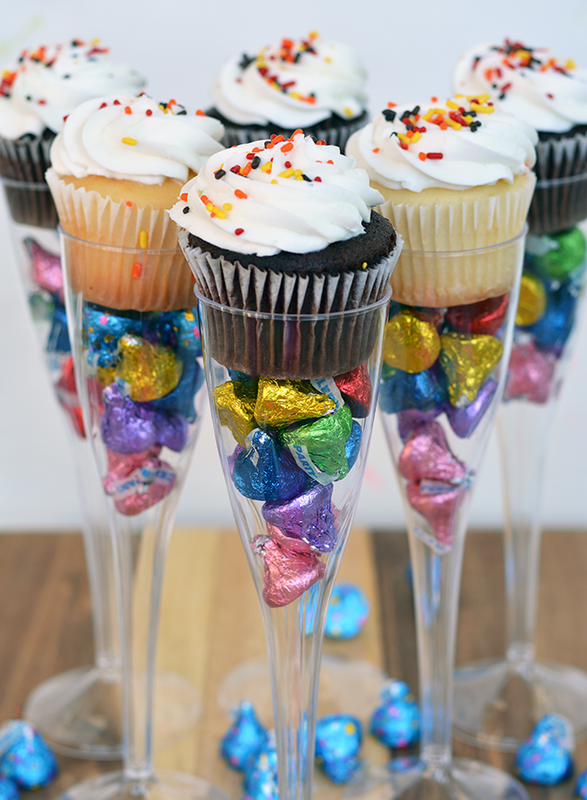 *Optional step: Because we had a candy theme for this party we left the flutes as is. But if you’re doing a theme like a princess party you could add some sparkle’s to the bottom of the cups by adding a layer of modge podge, glitter, and then a top layer of modge podge. For a superhero party you could dress up the cups with felt capes on the back of them. 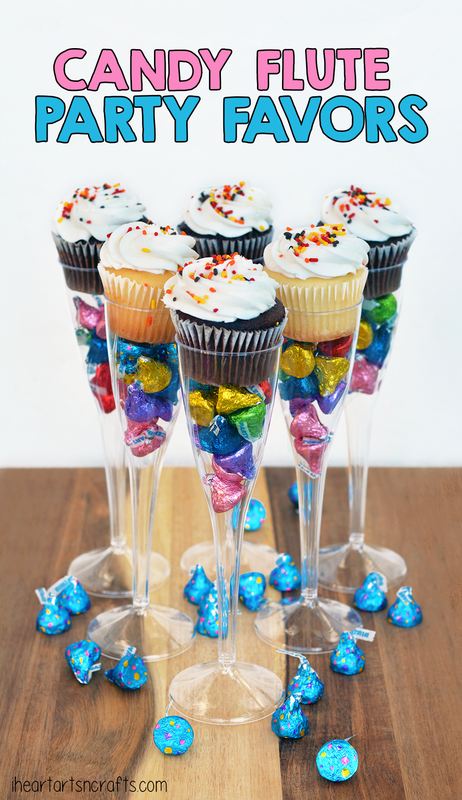 Then after your cups are filled with your candies top them off with your cupcakes and VOILA! 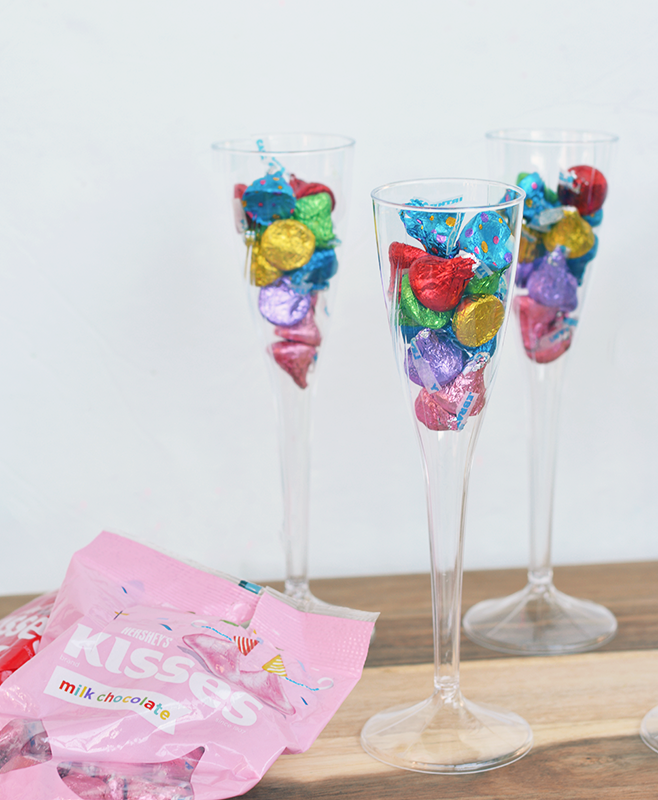 An easy peasy birthday party favor that you created in just minutes! Whether you’re planning a princess or superhero-themed party, there’s one party guest that should always be invited: Hershey. From new Hershey’s Kisses Birthday Cake Candies to Reese’s Peanut Butter Cups Miniatures to iconic Hershey’s Kisses Chocolates, your favorite Hershey products are now available designed for the birthday – sure to sweeten any celebration. You’ll find them in the party aisle at Walmart, not in the candy aisle. 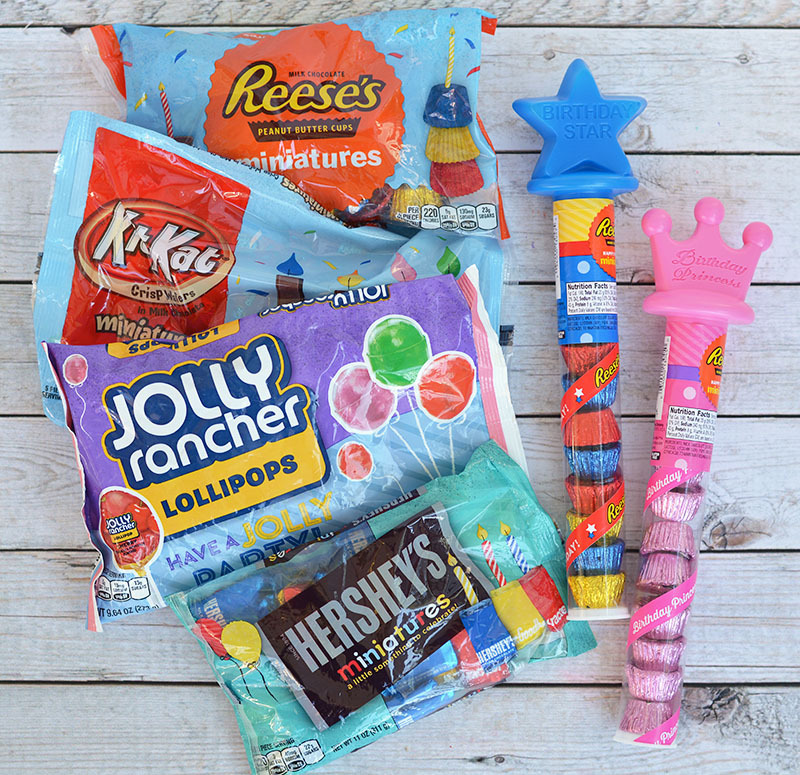 Visit select Walmart locations to find all your birthday party needs and to make your next party extra special with Hershey’s birthday-themed products! For more information check out Birthday parties with Hersheys.